BLOG What Is Cosmetic Acupuncture? Cosmetic Acupuncture is making headlines for good reason. This health-promoting treatment comes complete with beauty benefits. 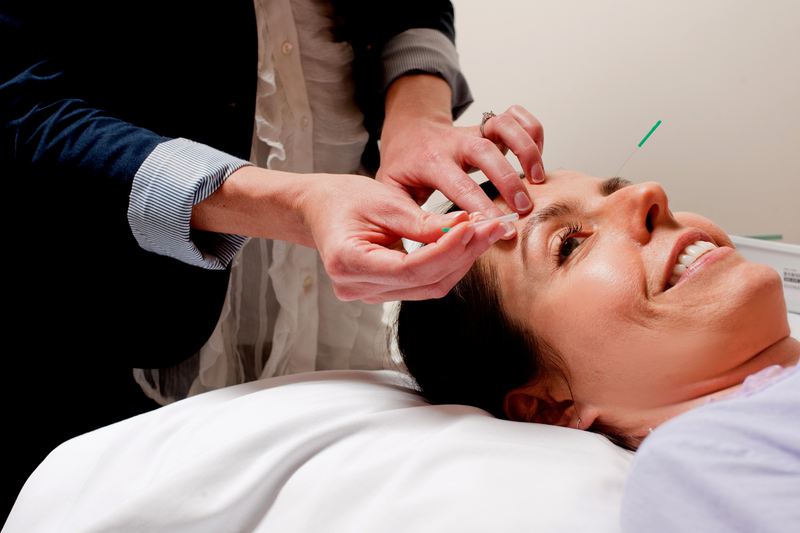 As featured on CTV’s The Social and The Loop, Cosmetic Acupuncture offers a modern take on traditional Chinese medicine style acupuncture with the sweet bonus of reduced wrinkles, restored rosy glow and real relaxation. Facial Rejuvenation Acupuncture is a specialized technique originally developed by Manhattan-based acupuncturist Virginia Doran, LAc. With many actors, models and celebrities as clients, she developed a system to support them putting their best face forward on stage and camera, while also supporting their health and wellbeing. I studied with Virginia Doran at the Canadian College of Naturopathic Medicine, and have been a certified provider of Facial Rejuvenation Acupuncture for nearly 10 years. The skin is the body’s largest organ. Like all other organs, our skin needs ample blood flow to deliver nutrients and remove toxins. With Facial Rejuvenation Acupuncture, we use specific points to increase circulation to the skin, reduce puffiness, and relive inflammation and redness. Areas you’re concerned about, such as furrows between the brows, crow’s feet around the eyes or vertical lines above the upper lip, can be uniquely addressed. Cosmetic Acupuncture treatments also include “constitutional” points that will help to address they underlying causes of skin conditions – including hormonal imbalances, digestive symptoms, toxin accumulation, or emotional stress. One thing I love about working with Cosmetic Acupuncture is that it helps conscious, high performing women who aren’t ready for their skin to be “showing their age” to reclaim their youthful confidence because this treatment alleviates many of the root causes of that “a little older” look – stress, worry, insomnia, lack of blood flow, lagging nutrition, and even hormonal imbalances. Each woman receives individualized consultation about her stress, her nutritional needs and blood work is often ordered to help us complete her assessment. We’ll assess the skin and the person’s goals for treatment, which are usually scheduled weekly to biweekly for 10-12 sessions for optimal results. 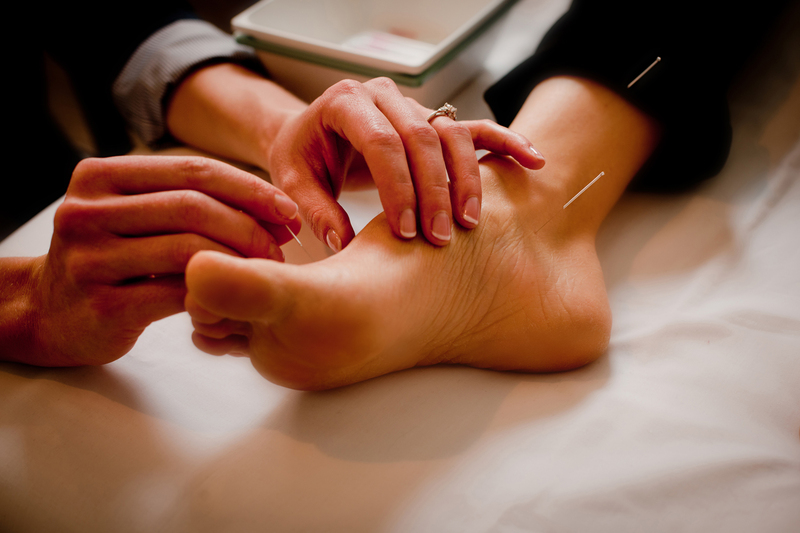 Acupuncture points are selected to support your individual diagnosis and to bring out the best in your skin. Acupuncture needles are extremely fine, sterile, single-use and specially designed for sensitive facial work. You’ll enjoy a comfy treatment space with some lovely infrared heat to boost your circulation, metabolism and help you feel oh-so-cozy. Music of your choice, or silence if you’d prefer, will be all yours to enjoy. Unique recommendations may be made to help you extend the benefits of your Cosmetic Acupuncture treatments between and beyond your clinic sessions. Facial acupuncture is done with the most ultra-fine, smoothest (silicon-coated!) acupuncture needles available to make the treatment as comfortable as possible. If a point hurts, it will be the instant it is inserted and then immediately become painless. Some points will feel like a strong mosquito bite or an instantaneous sharp sensation, while many you’ll not feel at all. My patients have told me that if they’ve tried acupuncture before and felt some pain, my technique is gentle and relaxing in comparison. (Acupuncture does not have to be painful or aggressive to be effective!) Many clients enjoy a nap or deep relaxation during their visit and have great sleep afterward. We completely understand if you feel nervous your first time trying this treatment out. If you’re new to the clinic and want to give it a try, book an Initial Consultation with one of our Cosmetic Acupuncturists (Sara and Elizabeth). Your visit will include a complete health history plus a “try it out” mini treatment, to your comfort level. Since it’s a recognized medical treatment provided by a regulated healthcare practitioner, Cosmetic Acupuncture is covered by benefits. (Woohoo!) Cosmetic Acupuncture falls within the scope of practice of Naturopathic Doctors and Registered Acupuncturists who are certified in Facial Rejuvenation Acupuncture. With Dr. Liz, treatments are covered under benefits categories for both Naturopathic Doctor and Acupuncturist visits. With Sara, your Cosmetic Acupuncture will fall under your insurance for registered Acupuncturist. There’s a wonderful resurgence of empowerment among the women today. One of the things empowered, conscious, smart women want and need is health and beauty treatments that are natural and that actually enhance their wellbeing. While I’ve never truly been a “facial” person because I’m such a picky purist when it comes to ingredients (**the thought of asking my esthetician to gather up the labels of all the products she’s planning to use on my skin so I can review the ingredients kind of takes the relaxation out of the experience, right? )…Yet I am a staunch supporter of self-care for women – the people who wear the most crowns (a.k.a “hats”) in families, workplaces and communities. Enter health-based beauty treatments that go beyond just your pretty face, just like you do every day. What are your favourite self-care strategies? Please share in the Comments below! Dr. Elizabeth Cherevaty is a Cosmetic Acupuncturist and Naturopathic Doctor in Guelph. She enjoys offering – as well as receiving – Cosmetic Acupuncture as a women’s health treatment with all-natural beauty benefits. Facial Rejuvenation Acupuncture treatments include individually selected points to address other symptoms, relax and balance the whole person. Cherevaty E, Interviewed by: H Nye, K Corbett (2018). What’s In Your Personal Care Products? Mastering Your Fertility Podcast. Available online. The Loop. Cosmetic acupuncture can help you get better skin (2018). Available online. I found this very interesting as l,have always had bad skin.l would love to try it but wondering the cost as l am retired and on a pension. Hi Trish! We’re glad you found this information helpful. Prices for our Cosmetic Acupuncture treatments can be found on our booking site. Frequency of treatments would be decided by you and your practitioner. *note that “initial” appointments must be booked for a first visit, but a treatment is most often possible within that appointment time!